The Fellowship was fortunate enough to obtain a copy of VICTOR LAVALLE’S DESTROYER #1 from BOOM! Studios. 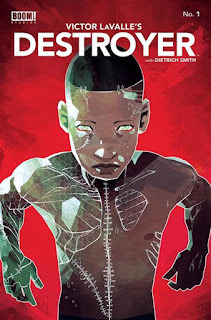 Victor LaValle writes, Dietrich Smith draws, Joana LaFuente colors, and Jim Campbell letters. The creature known as Frankenstein’s Monster has been hiding for a long time. A whaling ship awakes its interest, or at least its wrath. The nearby “protest” ship takes it on board, and one of the protesters catches him up on the world. Once the ship returns to land, the monster crashes it and flees. Meanwhile “the lab” learns of the monster’s return, and one of the lab’s scientists is less than happy to return to the fold. This story moves fast, getting us from discovery to response and beyond just in this issue. It establishes a furious pace, but leaves us uncertain as to the monster’s motives or the motives of Dr. Baker. And that makes for an exciting story, with art that uses perspective to fascinating purpose. I’ve seen modern sequels to Mrs. Shelley’s masterpiece before, but this one looks to tell its story in several different senses (not just the Gothic/religious). This one is cool for fans as well as the uninitiated. 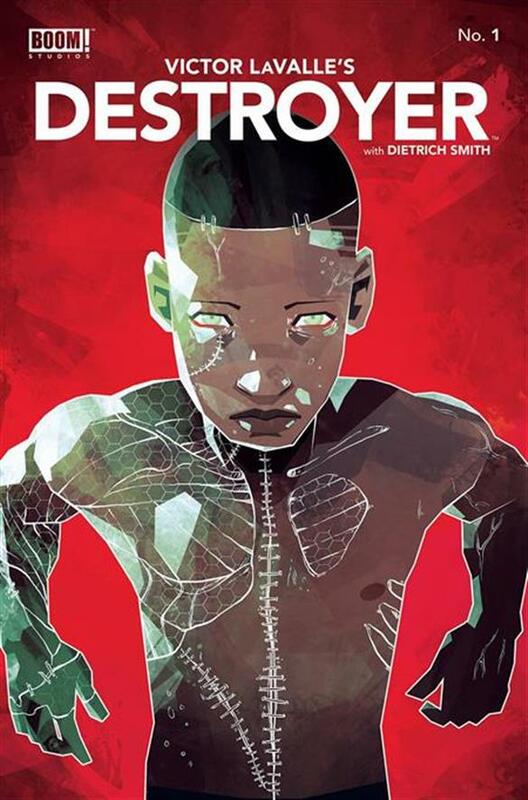 VICTOR LAVALLE’S DESTROYER #1 is available now from your local comic shop, or online at boom-studios.com.